I recently decided to upgrade my action camera, I wanted something for RC as well as my Model Trains. After looking at all the options and price being a major factor, I decided on the iON Air Pro 2. After looking online, I found one at Wal-Mart for $199 Canadian. This camera is the mid level camera in the iON series. 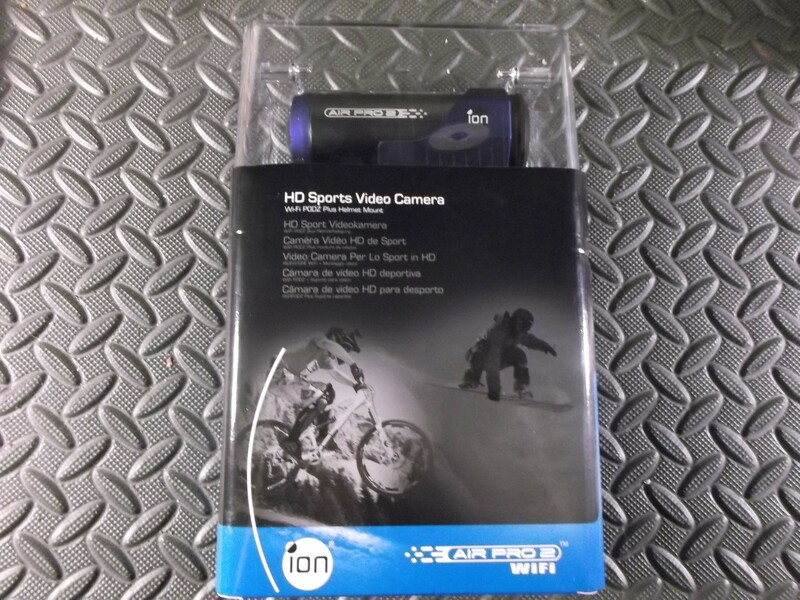 The Air Pro 2 is a rugged 1080p HD video camera, that is waterproof to 30ft and has a 180 degree viewing angle. Weighting in at 4.5 ounces, you can easily put this camera just about anywhere. It also includes Wifi. “WiFi PODZ” provides wireless capability to your ion camera. You can access and transfer your photos and videos to your PC, mobile phone or tablet. It also turns your mobile device into a viewfinder as you can live-stream the camera view from your mobile device. The Ion Air Pro 2 is simple to use and the included instructions make it easy to get up and running. There is also a vibration function that indicates power and record modes in case you cant see the light. Indoors this camera works well, but the picture quality does lag in low light. Outdoors, is where this camera really comes to life. After all it is an action camera. The picture is clear and the FPS keep up nicely with the action. Operating this camera with the Wifi is fairly easy and a online tutorial made this simple for me. I am not a professional photographer. I am just a guy that likes to take the odd video and I didn’t want to spend $300 plus on a camera. I am pleased with the video and audio quality and the iON App is pretty slick as well. I do wish the camera came with more mounting accessories, the included bike mount and tripod are nice, but more options would be better. I was able to use the packaging it came with to make a mount for my Traxxas Slash 4×4. I was also able to find some inexpensive mounting options on eBay that will be more suited for my needs. The iON Air Pro 2, fits into my use perfectly and I am looking forward to a summer with some great video. The videos below show the iON Air Pro 2 in action, outside on a cloudy day and indoors in low light. I can’t wait to get back on the track.